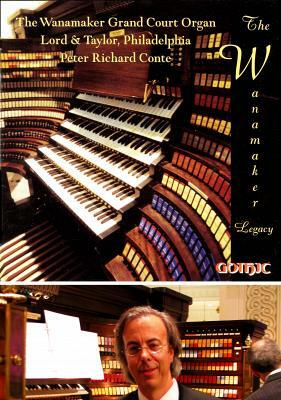 In "Legacy," Peter Richard Conte performs stunning renditions of music closely associated with The Wanamaker Organundoubtedly the greatest symphonic organ ever built. John and Rodman Wanamaker left us, as their legacy, a pipe organ built to the very pinnacle of orchestral design. Peter Richard Conte is the consummate Symphonic Organist. His sense of color and incredible ability at registration and clarity presents the organ in seamless build-ups and gorgeous "meltdowns," creating the illusion of fully three symphony orchestras dancing to his fingertips. Some passages, indeed, require hands on two keyboards while thumbs are making melodies on two others and feet are otherwise busily employed. Includes the Marche Religeuse by Alexandre Guilmant, The Cortège and Litany and the complete Symphonie-Passion by Marcel Dupré. ©2010 Friends of the Wanamaker Organ, Inc.